Thursday we had the Mobile Free Thrift Center open at the First Presbyterian church. We also setup 7 or 8 tables inside the fellowship hall with additional clothing. We were very busy with people looking for clothing and kitchen items. 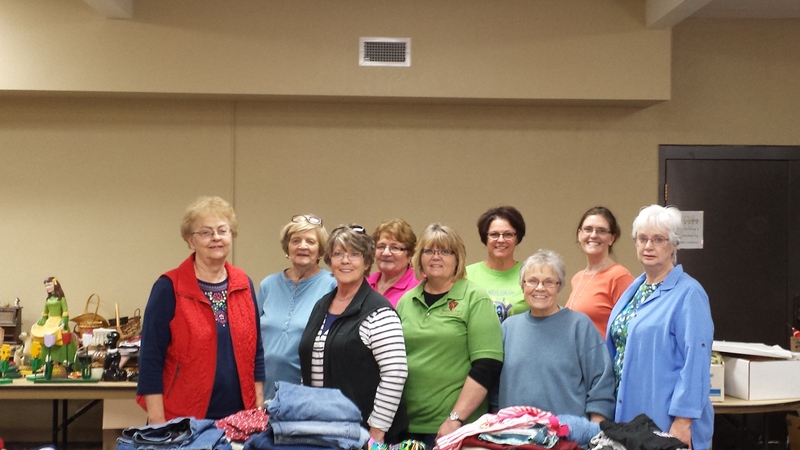 The first picture is of the ladies that worked the Relay for Life rummage sale. They invited us to come and pick out items we could use in our thrift center when their sale was nearing it’s end. We picked up some very nice items for our unit. Thank You ladies for your help and giving us a call. The second picture is of the Marc Frederickson family who came to Watford City from Georgia to do some missions work. We “found” each other and they ended up helping us all day by moving bags from the Glory of the Lord church basement to the Presbyterian church to be setup. They helped with setup and also helped people find items they needed and carried the items out for people that needed help. Additionally, they helped sort bags and boxes of unsorted goods. THEN, they helped us pack it all up when we closed up for the day and take it all out to 3 different places. Wonderful family and great workers. We treated them to pizza when we finally finished. It was a long day, but we were able to help over 20 family units and accomplished a lot of sorting as well. 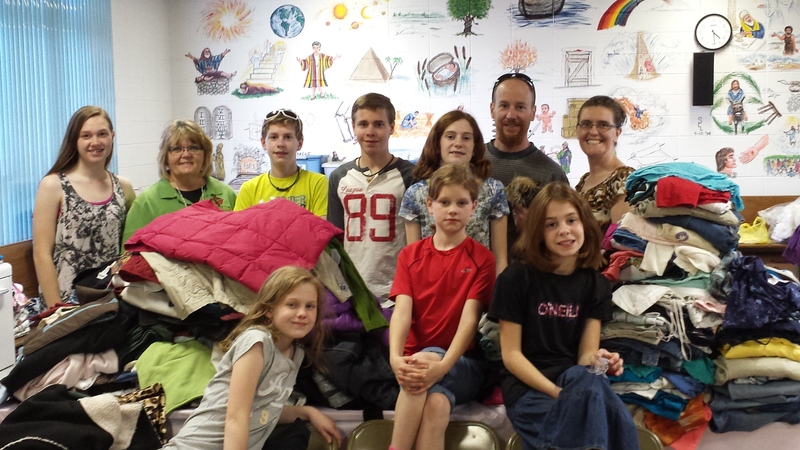 We also had at least 3 different people bring items to donate to the thrift center. What a day!